Many different elements came together both in and on the burgers. There was garlic sauteed spinach, fresh feta, and jalapenos in the burgers and a roasted red pepper mayo spread on the fresh baked buns. We did not make the buns, but got them in the Strip District where we get most of our cooking supplies. 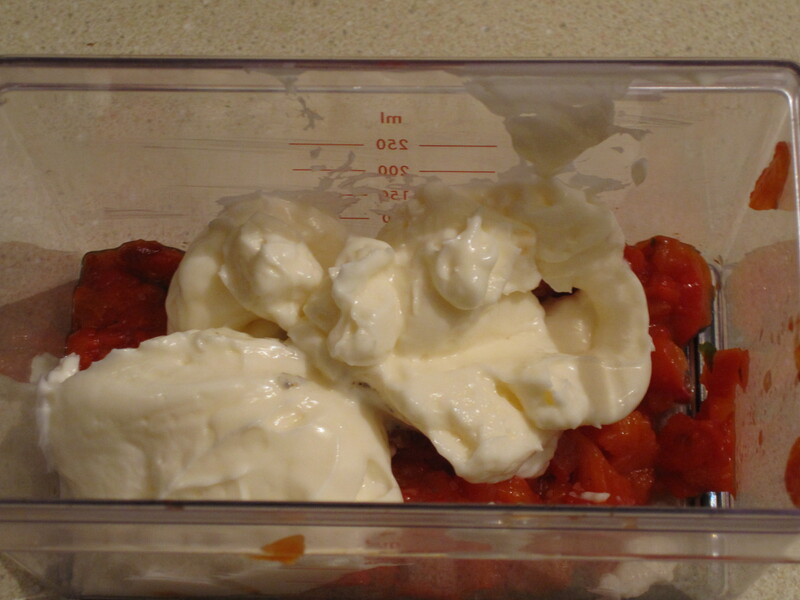 These were made the same night as Roasted Red Pepper Bisque and I kept a bit of the peppers aside for the mayo spread. Fresh ingredients are always the key to the best meals. 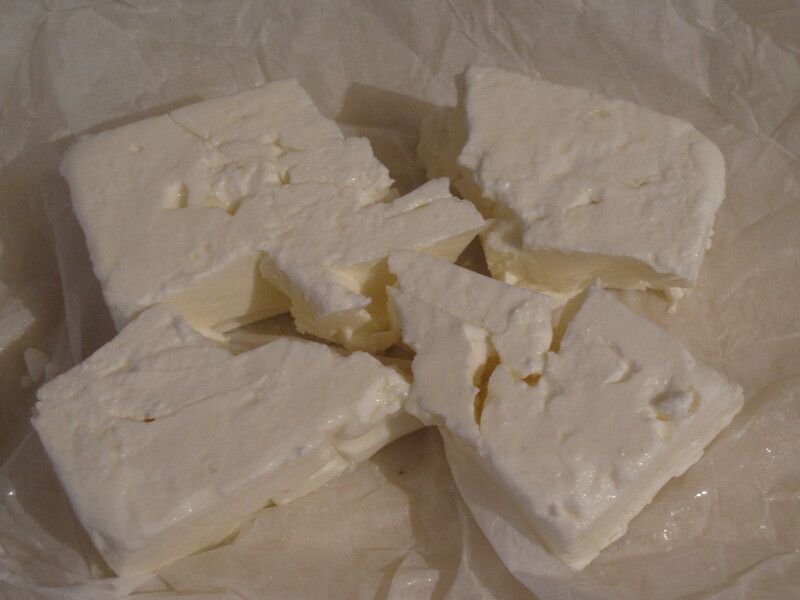 The Strip is great for fresh options such as this fresh Greek feta from Penn Mac. 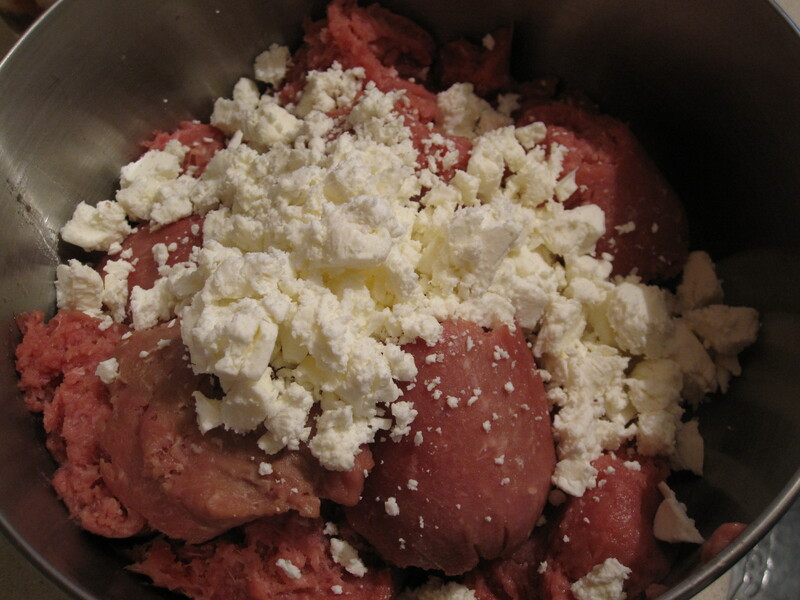 This was one of a few ingredients added to ground turkey. I sauteed spinach in garlic and added it once it was cooled a bit. 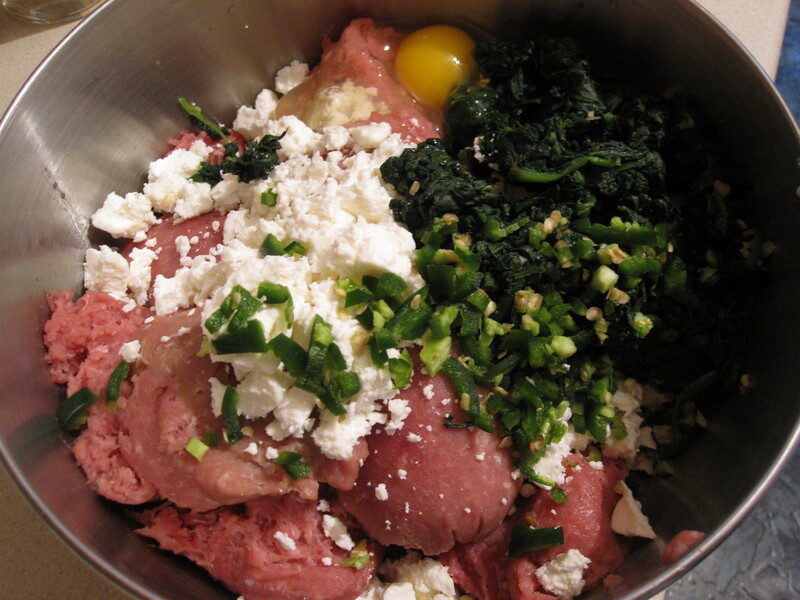 Also a fresh chopped jalapeno and an egg to hold it together. 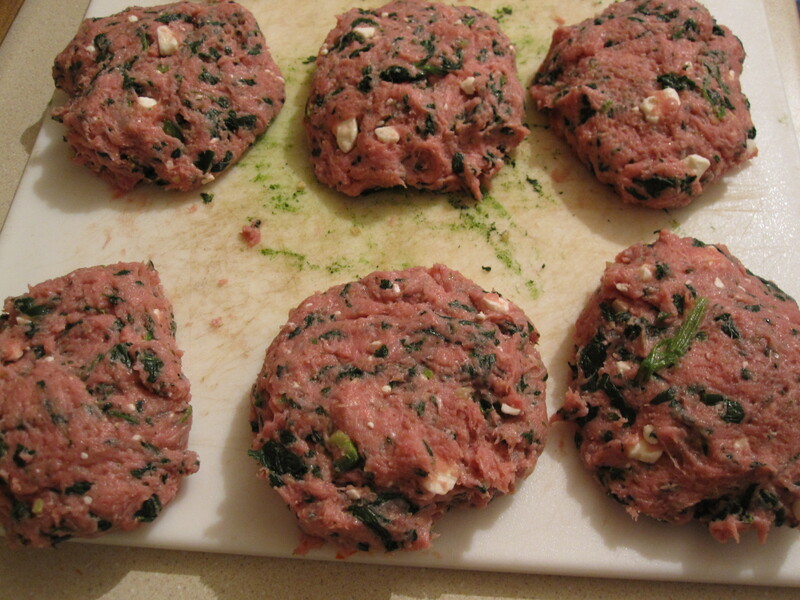 Then mash it all up and form into burgers. Have your formed burger area ready ahead of time because once those hands go in and are covered you won’t want to clean them until you are done. As mentioned, this menu also included roasted red pepper bisque and some roasted peppers were set aside, chopped, and mixed with some mayo for a spread. 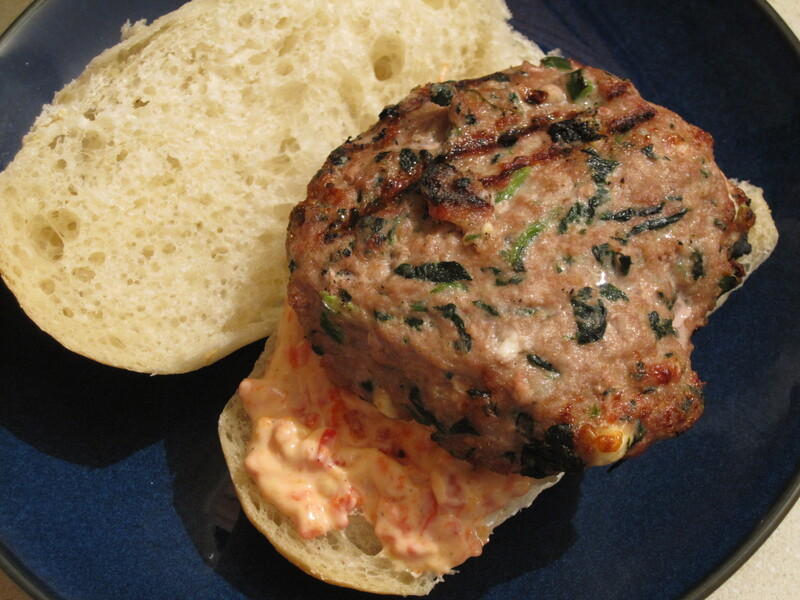 This entry was posted in Turkey, Uncategorized and tagged burger, Egg, feta, garlic, grilled, ground turkey, jalapeno, roasted, roasted red pepper, roasted red pepper mayo, sauteed spinach, turkey. Bookmark the permalink. We had this and it was very good. Top notch top notch.